There’s no better time to change up your hair than during the changing of the seasons. So if you’re looking to say out with the old and in with the new as the weather gets a little bit chillier and the sun gets a little bit dimmer, think about trying these trendy hairstyles to rock for fall 2015. Maybe you’re not quite ready to cut your locks and want to keep them growing through the colder seasons, but you’re still looking for a bit of a change. That’s where this sleek, 70s inspired style comes in handy. Just flip your hair to the side and start training it to stay in a cute side part. This youthful look will work with any face shape, and though it’s a simple change, it can make a big difference to your overall appearance. Bobs seem to make the list almost every year, but this year the bob is veering away from razor cut edges and angles into a more straight, chunky, and natural style. Instead of straightening your bob to within an inch of its life, let it get some volume and waves and give it an uneven weight with a handy side part. A tousled bob is the way to go for fall 2015, and it’ll look good at any length—weather it’s a shorter chin length look, or a longer shoulder length cut. 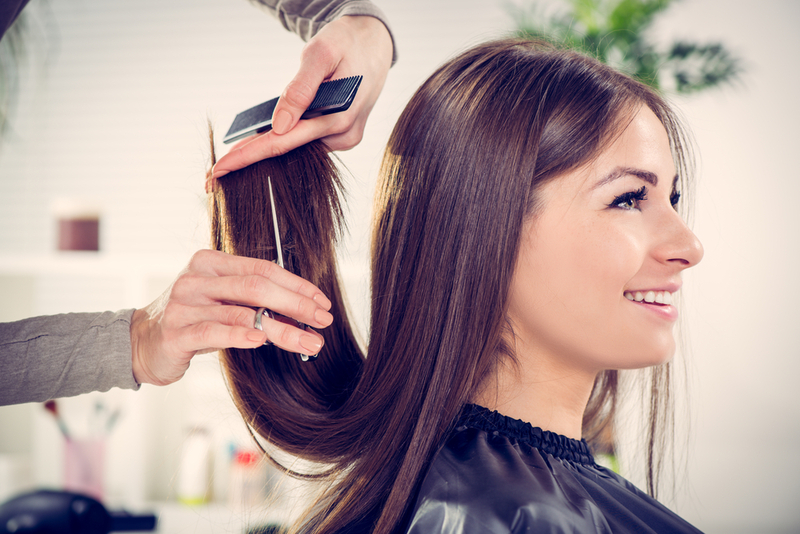 If you’re not looking for a totally new cut, the changing of the seasons is a great reminder that it’s time to get those dead ends looked after. Instead of a typical trim, get your stylist to use a razor. It’ll thin out the ends a little and give your ends a bit more texture for an edgier look. If you’re feeling a tad adventurous, add some long layers to add a little bit of volume. Style in relaxed waves, which is a summer trend carry over that we’re just not willing to let go of yet. This entry was posted in Hair and tagged fall 2015, fall 2015 trends, fall hair, fall hair trends 2015, hair trends, hairstyles.